A couple more photos of our dining/day living area, now that it’s completely decorated and ‘livable’! 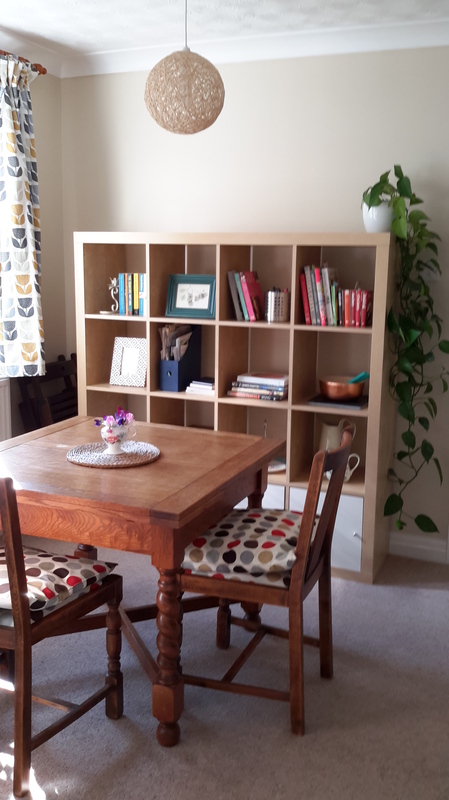 Like the rest of the rooms in our house, it’s an odd shape – therefore I’ve tried to use our existing furniture to create zones. 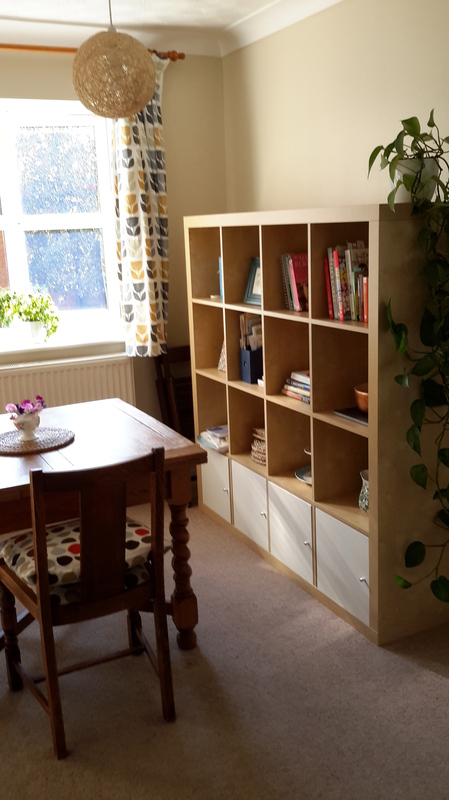 We’ve got the Expedit Ikea unit on loan from my boyfriend’s brother and his fiancee while they wait to move into their new house. Everyone knows what amazing storage these units are so I don’t need to extoll its virtues, but it was a lifesaver while we were going through the kitchen re-fit! I can see why they are so popular.. 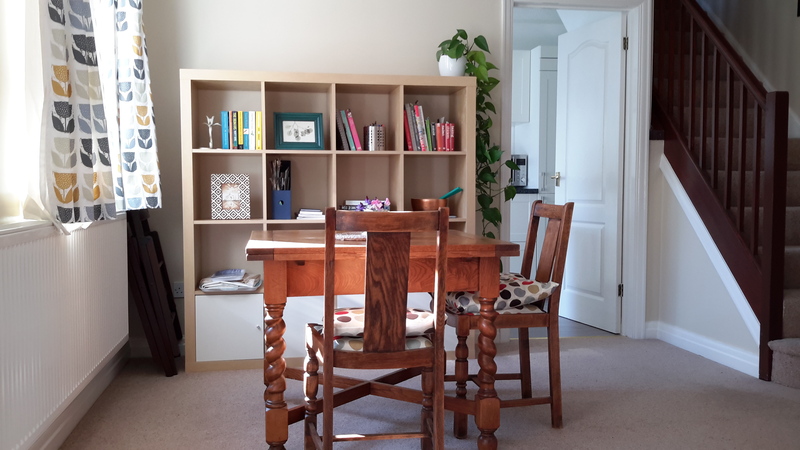 I would love to dip dye or paint/distress the table and chairs but have do far been forbidden to do so by my mother – they’ve been passed down through her side of the family. 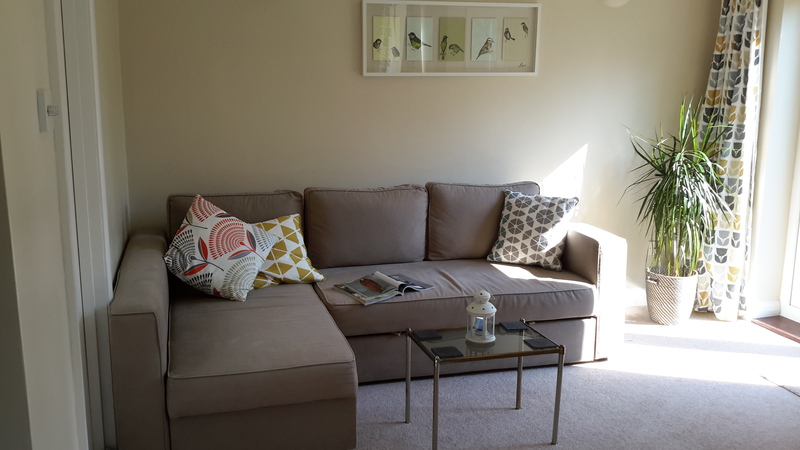 The other side of the room is the ‘day’ living area – it’s a beautiful warm area on a sunny day like today. With the french doors open it feels like a garden room, so I stuck to neutral and natural colours. It’s my favourite weekend reading spot! 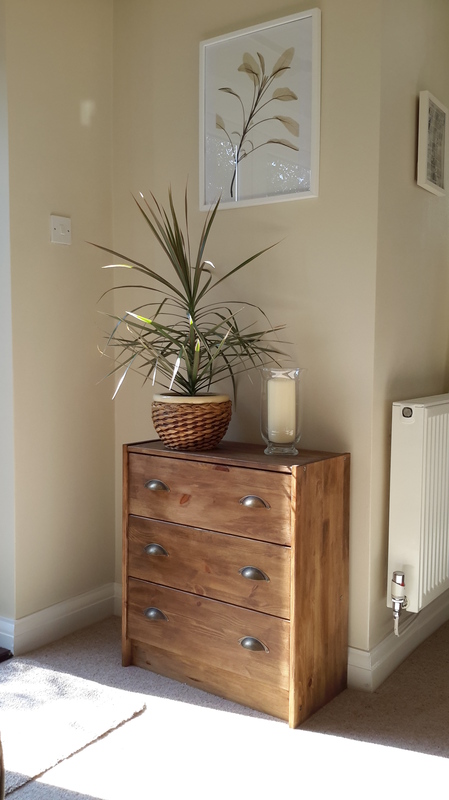 This is my attempt at a rustic Ikea Raast hack – I simply stained the wood and swapped in some bronze-effect handles. 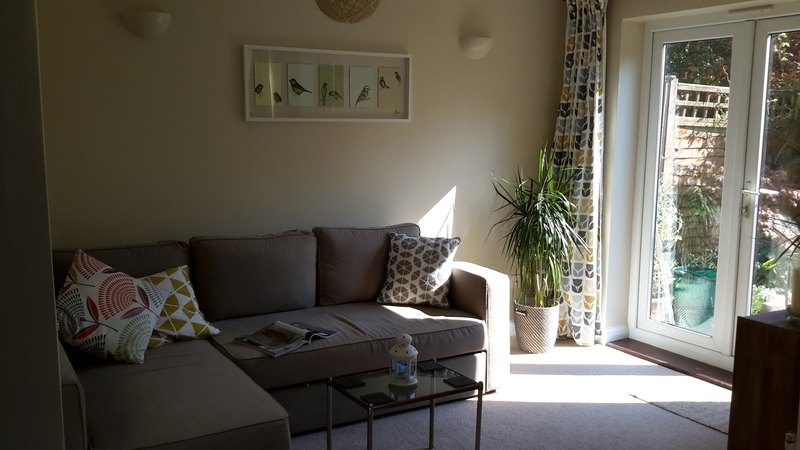 Unfortunately all the windows and doors that fill this room with light during the summer months make it a bit chilly in the winter – so I’ve got to make the most of it while I can! Really great job! Love how bright and airy it is!